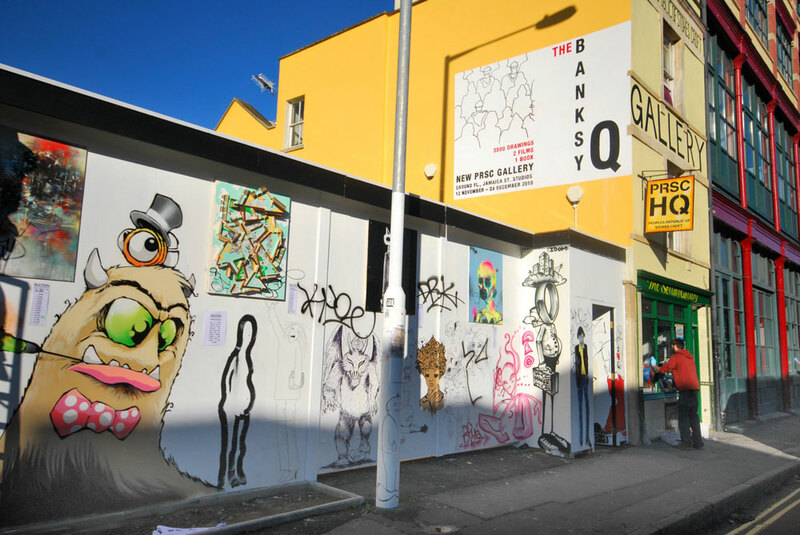 The Banksy Q exhibition took place in December 2010… It ran until December 24th 2010. It was held in the PRSC New Gallery, the first major exhibition to be held there. The exhibition consisted of 3500 drawings, executed by those who queued, 2 films of the queue and a book of the phenomenon that was the queue. The Virtual Banksy Q outside the exhibition space.